Joel Guzman preparing for his annual Squeezebox Mania event taken March 16, 2015, Austin, by Mark Hiebert. What started out as a birthday bash for Joel Guzman in 2006 has become an annual tribute to accordion music – all types of accordion music. Squeezebox Mania IX will be held on Saturday, April 25, at Threadgill’s World Headquarters in Austin. Co-founders Joel Guzman and Sarah Fox have been bringing the good people of Austin the finest accordion players that have ever squeezed the box. The long list of past performers reads like a Who’s Who of squeezers – Augie Meyer, Santiago Jimenez Jr., Chris Rybak, Charles Thibodeaux, Ponty Bone, Steve Riley & the Mamou Playboys, Zhenya and the Flying Balalaika Brothers, Corey Ledet, Debra Peters, UT Conjunto, Johnny Degollado, Jaime Deanda y Los Chamacos, Grupo Aztlan, Radoslav Lorkovic, Michael Ramos and Conjunto King Mingo Saldivar. This year is no exception. Grammy award-winning accordionist Sunny Sauceda & the Electric Cowboys, Los Aztex, Charles Thibodeaux & the Austin Cajun Aces, plus members of The Flying Balalaika Brothers. And as always, Joel will be anchoring the event. It’s hard to picture Joel without an accordion in his hands. He has been playing since he was 4 years old. You probably would assume, like I did, that he honed his skills in South Texas or some other Southwestern state. Wrong. He got his inspiration from his accordion-loving dad in a little farm town in Washington State. “My dad was a good musician and always played records of accordion music from all over – Poland, France, Panama, you name it. He would tell me, ‘They play the same instrument you play. You should appreciate the variety and embrace it,’” Joel recalled. And there is a Texas family connection as Joel’s dad is from San Juan and his mom is from Edinburg. They moved to Washington in 1948. Joel Guzman has been called brilliant, extraordinary, a genius. He began dazzling audiences and fellow musicians with his unique accordion artistry as a child prodigy, causing established and respected accordion players to christen him, at an early age “El Pequeno Gigante” – “The Little Giant.” Today, he is not only a superbly accomplished instrumentalist, singer and performer, he is also a successful innovator, arranger and producer. So does someone so accomplished still practice? “I practice in my mind a lot. I am constantly inspired by what I hear, see and feel,” he said. Joel credits many artists as his influences. At the top of the list is Richard Galliano, a chromatic accordion player from France; master accordionist Angelo DiPippo, Rhode Island; Tony De La Rosa, an innovator that introduced electric amplification to a previously acoustic genre in the 1950s. De La Rosa, like Guzman, also played the diatonic accordion; and then there’s Esteban Jordan, another diatonic accordionist. Guzman compares Jordan to Jimi Hendrix in terms of sheer impact on conjunto. “He was a Hendrix-like genius when he played jazz, rock, blues, conjunto and Tejano music with his accordion,” Joel said. Joel didn’t make it down to Texas until 1979 when he was touring with Little Joe Y La Familia. A stop in Temple introduced him to Czech polka music when he met singer/songwriter Sarah Fox. “Sarah grew up in Temple. She said, all my friends are Czech. You need to come to a polka dance,” he recalled. He can’t remember which polka band was playing at the dance, but he decided right then and there that he wanted to move to Texas. Okay, maybe Sarah and not the Czech music was the main reason he decided to move to Texas. They had a lot in common. Joel came from a family of musicians and has two brothers and six sisters. Sarah’s family, too, had a music tradition, and she has six brothers and two sisters. They also had a passion for experimenting with and pushing Latin-based music to another level. The couple became in demand as session players, and they worked with or formed their own bands, playing rhythm and blues, salsa and conjunto music. Gradually, they developed their own sound, a fusion of rock, Tejano, Cajun and conjunto, R&B and jazz, and formed the group Los Aztex in 1999. Current members are: Zeke Galvan, Matt Slusher, Mark Epstein and Gabriel Guzman, son of Joel and Sarah, a fourth generation musician. 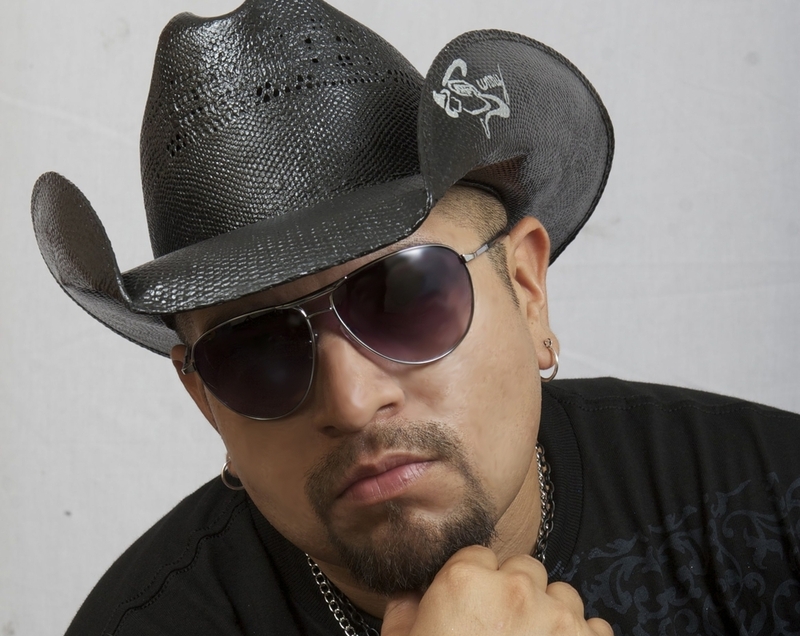 Los Aztex garnered three Grammy nominations in the Best Tejano Album category in 2009, 2010 and 2011. Joel has won two Grammys for his work on the album Polkas, Gritos y Acordeónes with Sunny Sauceda and David Lee Garza, first in 2004 in the American music category and in 2005 for best Latin album. Los Aztex has toured the country from the East Coast Lincoln Center-type venues to House of Blues stops in several cities, and has enjoyed bringing their unique Texas music to Europe in Italy, Spain and Scotland. “We are not a Latin group per se, we are a cross-genre group. We like to mix up a Cajun beat, a 2/4 beat with a blues sound and throw in all things Texas. We produce a mixture of all these bloods. We are traditional but always pushing forward,” Joel explained. Joel and Sarah have also appeared in two movies – Crazy Heart in 2009, starring Jeff Bridges, and Angels Sing in 2013, a Christmas movie with Harry Connick Jr. The latter features original music written by Sarah. Joel knows he is blessed being able to make a living playing the music he loves. “Surviving in the music business, I thank God every day. You have to prioritize – God, family, squeezebox mania,” he said. Joel is loyal to the Hohner brand of accordion, having played the company’s Anacleto boxes as well as a slew of customized Corona Classics, all his life. He also believes in encouraging the next generation. He teaches 20 3rd, 4th and 5th graders at the University of Texas Elementary School (UTES), a community engagement initiative with the goal of increasing the number of under-represented students in the college pipeline. The Hohner Accordion Company, for which Joel is an endorsee, provides the accordions. “We have a responsibility to continue our special Texas musical culture,” he said. Several of his students will perform at Squeezebox Mania, including standout Chris Ramirez from Hearne. “This festival is our way of saying, ‘Come over to the house and let’s get together to play some meaningful music that we can share with our kids,” Joel said. The event starts at 8 p.m. and tickets are $15 in advance or $20 at the door. For more information, go to squeezeboxmania.com.